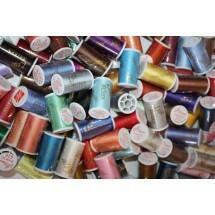 Lesur Sateen Thread Multipacks	There are 9 products. 1 * Lesur 100m All Colour Pack - 112 Shades. No colour choice. 1 * Full pack of shades of Lesur's Beige/Yellow/Brown's. Pack contains a range of 32 Reels in shades of Beige/Yellow/Brown's. No colour choice. 1 * Half pack of shades of Lesur's Beige/Yellow/Brown's. 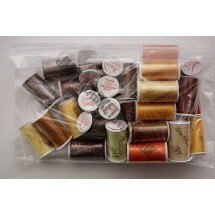 Pack contains a range of 16 Reels in shades of Beige/Yellow/Brown's. No colour choice. 1 * Full pack of shades of Lesur's Blue/Grey's. Pack contains a range of 34 Reels in shades of Blue/Grey's. No colour choice. 1 * Half pack of shades of Lesur's Blue/Grey's. 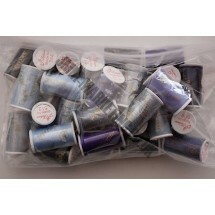 Pack contains a range of 17 Reels in shades of Blue/Grey's. No colour choice. 1 * Full pack of shades of Lesur's Greens. 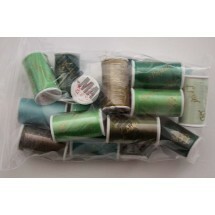 Pack contains a range of 18 Reels in shades of Green. No colour choice. 1 * Half pack of shades of Lesur's Greens. 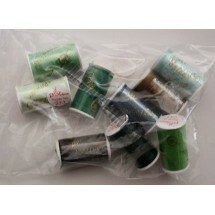 Pack contains a range of 9 Reels in shades of Green. No colour choice. 1 * Full pack of shades of Lesur's Reds and Pinks. 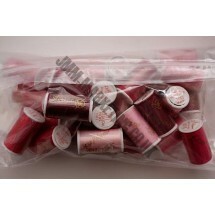 Pack contains a range of 28 Reels in shades of pink and red. No colour choice. 1 * Half pack of shades of Lesur's Reds and Pinks. 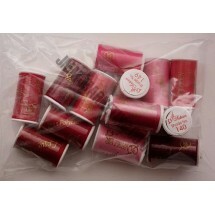 Pack contains a range of 14 Reels in shades of pink and red. No colour choice.